American violinist Nathan Meltzer is increasingly hailed as a rising star, offering a compelling combination of exceptional technique and mature musicianship. This season sees his French debut with the Orchestre National d’Île-de-France and Case Scaglione for performances of Khachaturian’s Violin Concerto, including at the Philharmonie de Paris. 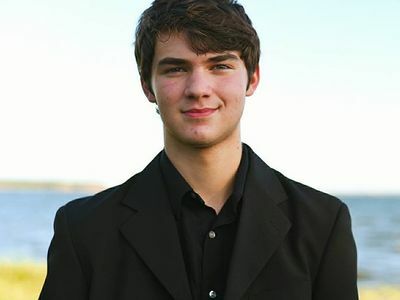 He also joins German pianist Elisabeth Brauß for recitals in the Heidelberger Frühling’s Young Artist series and St Bride’s Fleet Street in London and goes to Chamberfest Cleveland in summer 2019. Performing regularly across America from a young age, Nathan first attracted international attention after winning the International Concert Competition Debut-Berlin in 2016, which led to a performance of Paganini’s Violin Concerto No.1 at the Berliner Philharmonie. A year later he received first prize at the Windsor Festival International String Competition, the youngest ever to do so at the age of sixteen. He made his UK concerto debut with the Philharmonia Orchestra in autumn 2017, performing Sibelius’ Violin Concerto under the baton of Michael Francis. Other recent highlights have included concerts with the Orquesta Filarmónica de Medellin in Colombia and first prize in the New York-based competition, ‘Getting to Carnegie’. He continues to appear widely across North and South America where previous engagements have included the Pittsburgh Symphony, Indianapolis Symphony, Adelphi, Bloomington, Muncie and Charlotte Civic orchestras, as well as the Orquesta Sinfónica Concepción in Chile. A keen recitalist and chamber musician, Nathan has recently performed at New York’s Alice Tully Hall, Giardini La Mortella (the former Italian residence of composer William Walton) and at the Water Island Festival in St. Thomas in the Caribbean. As a member of the Omega Ensemble in New York since 2016, Nathan frequently joins other outstanding artists at the beginning of their professional careers for chamber performances in and around New York. He has appeared with the Jupiter Symphony Chamber Players, and the coming season sees him return to the Weill Recital Hall at Carnegie Hall to perform with pianist and composer Julian Gargiulo. Nathan is a protégé of Itzhak Perlman and currently studies at the Juilliard School with Perlman and Li Lin, his teachers since 2013 at the Perlman Music Program and Juilliard Pre-College. Prior to that, he was with the ‘Violin Virtuosi’ at Indiana University Jacobs School of Music (2010-2013). He is a regular guest on NPR’s radio show, ‘From the Top’, and has participated in masterclasses and lessons with Joshua Bell, Pamela Frank, Vadim Gluzman, Jaime Laredo and Donald Weilerstein as well as collaborations with Gilles Apap, Atar Arad, David Chan, Augustin Hadelich, Joseph Lin, Mark O’Connor, The Piano Guys and the Ariel String Quartet.~Nathan plays an 1844 Joannes Pressenda violin on generous loan from Juilliard.